Valve’s Portal is one of the all-time great puzzle games ever made—a first-person shooter in which you use a gun that fires in and out portals you’ll need to work with in order to try to escape the facility you’re being held in. 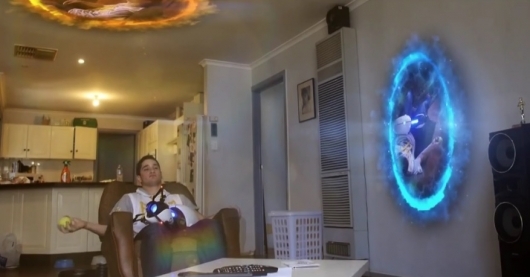 In an impressive and hilarious new video, a heated confrontation escalates quickly into an all-out portal gun firefight, and it’s to no one’s benefit. You can watch it below. 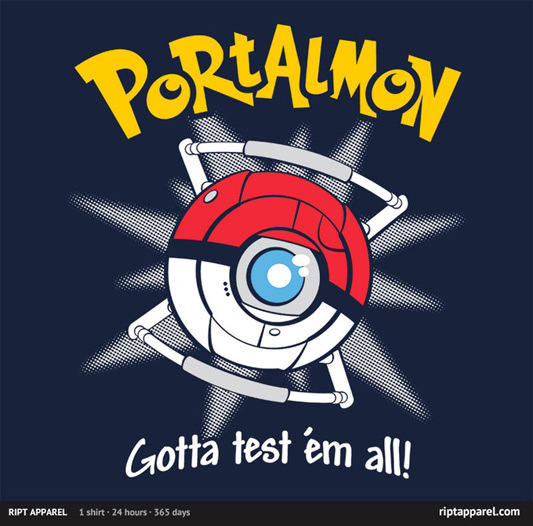 The $10 t-shirt deal of the day over at RIPT Apparel today is a mash-up of Portal and Pokemon called “Portalmon” by fanboy30. The shirt went on sale at RIPT today, Tuesday, September 4, 2012, at midnight CST, and will continue for 24 hours from then, and once it’s over, it will not be sold on the site anymore. 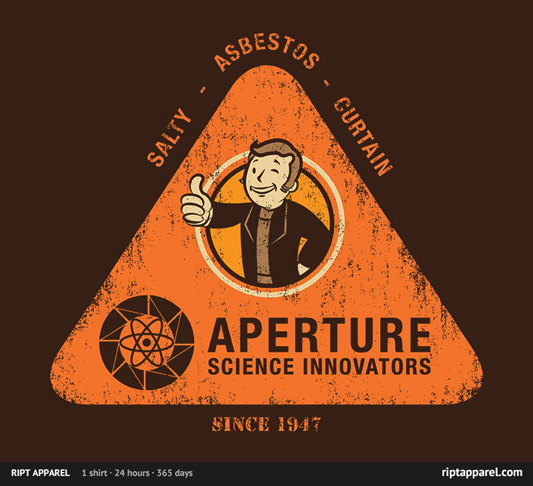 The t-shirt deal of the day over at RIPT Apparel today is a Portal-themed shirt called “Lab Rat” by artist Melee_Ninja. The shirt went on sale at RIPT today, Monday, May 21, 2012, at midnight CST, and will continue for 24 hours from then, and once it’s over, it will not be sold on the site anymore. 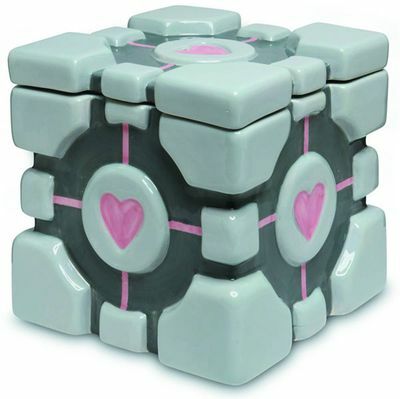 The deal of the day over at Things From Another World today is a Portal Companion Cube Cookie Jar for $20.00 (that’s 33% off of the regular price of $29.99). Note, this deal is valid only for today, Wednesday, May 9, 2012, until 11:59pm EST while supplies last (and it will sell out, so hurry!). Visit the TFAW’s Deal of the Day page to view the hours left in the sale as well as quantities left on the item. During a video game panel at Emerald City Comic-Con last weekend, Dark Horse Comics announced that they would be publishing a new concept art book for developer Valve’s hit sequel, Portal 2. The book, titled The Art of Portal 2, gives fans a look at the game from initial concepts to the final product, with added insight from both artists and writers who have worked on the Portal game series. At 184 pages, fans will get their fill of mostly never-before-seen art, including looks at the Aperture Science facility, characters such as Chell, and the design process of Valve. Watch The Trailer For ‘Mari0,’ Then Download The Game For Free! 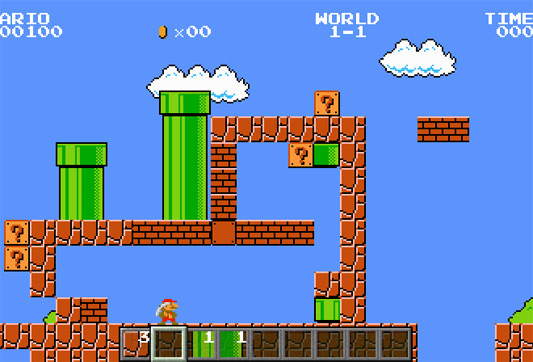 Over the weekend, game developers Stab Yourself released Mari0, a FREE downloadable game that takes the original Super Mario Bros. and adds portals. Check out the game trailer here below and if you’re anything like me — a Super Mario Bros. junkie — you too will hyperventilating. Seriously, I’m bugging out now. 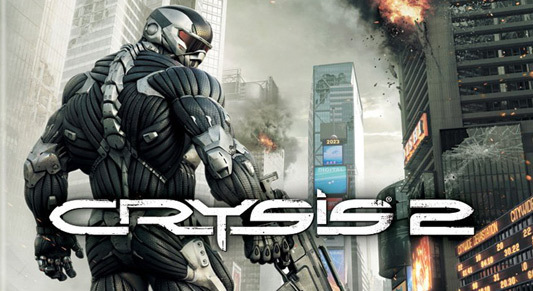 I didn’t even know Mari0 was in the works, but now that I’ve seen the gameplay, I have one thing to say: WANT!!! Tags: Mari0, Mario, Portal, Portal 2, Super Mario Bros.
Video games? 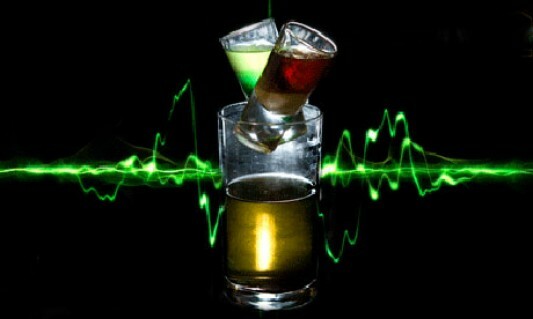 Booze?! Go on, I’m listening…I’m listening. 2011 saw some incredible video games released (mostly in that small chunk of fall when bunches of them were raining down on us), but what can make a great video game even better? Why, an adult beverage concocted in the name of these very same games, of course. The Guardian’s Games Blog reached out to James Dance, owner of the video game bar called Loading and master of the mixological arts, to create some cocktails for six of 2011’s top video game titles: The Elder Scrolls V: Skyrim, Uncharted 3: Drake’s Deception, Call of Duty: Modern Warfare 3, L.A. Noire, Portal 2, and Batman: Arkham City. Continue on below to check out the recipes for each of these wild creations, as well as images of what they should look like! 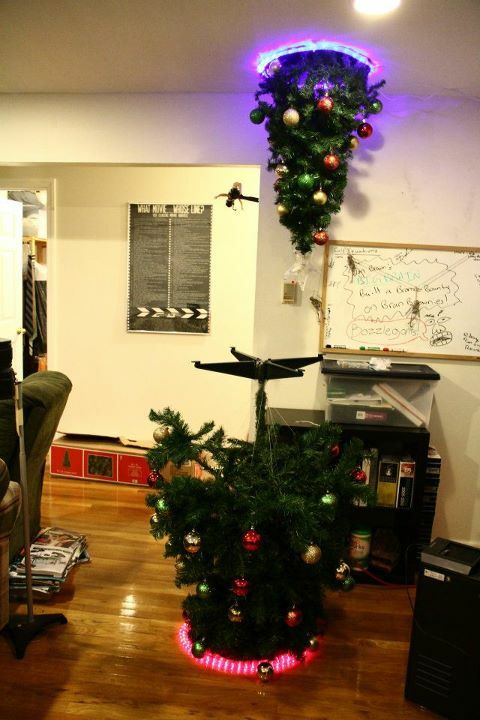 I saw this Portal-themed Christmas tree in my Google+ stream posted by my friend (by way of G+) Eddie McBride. I don’t know who the creator is, but I love it and had to share it with you all. If you’re the person made this, 1) great job! and 2) let us know who you are.